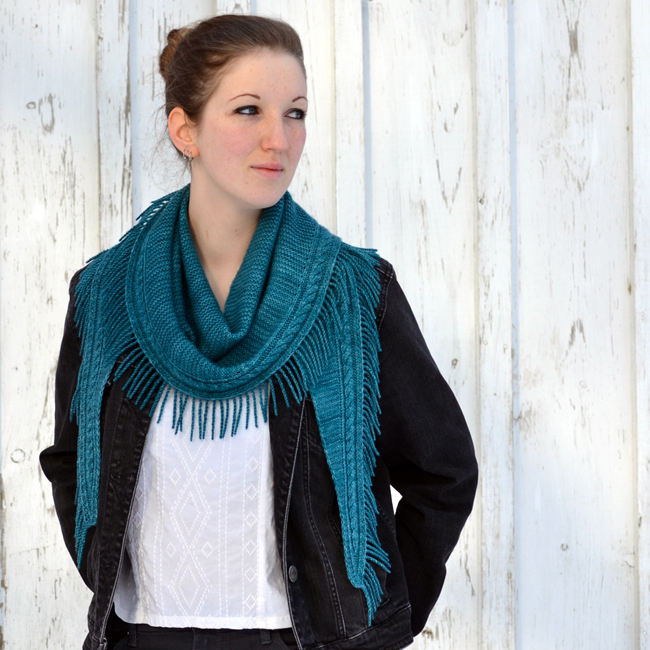 Spring is coming, it’s only a matter of time, and what better way to welcome it than with a lighter weight spring shawl. Named as an homage to spring, the Rainfall Shawlette is worked sideways and features an integral fringed border created from hundreds of tendrils, reminiscent of streaming rain on windowpanes. 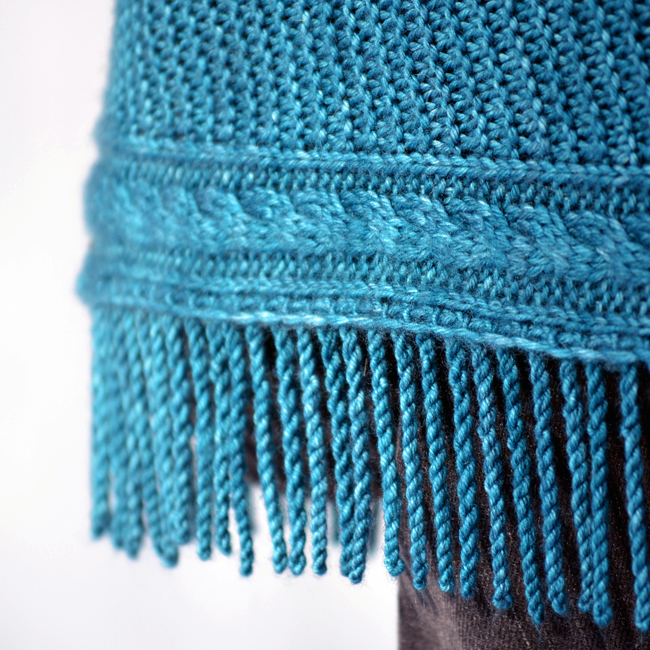 A rope cable border mimics the twist of each tiny tendril, while the body portion is simple garter stitch for a relaxing knit. The finished, blocked shawlette (as pictured) measures approximately 76” (193 cm) wide along top edge and 14” (35.5 cm) long at center (not counting tendrils). Tendrils (as pictured) measure approximately 2” (5 cm) long. 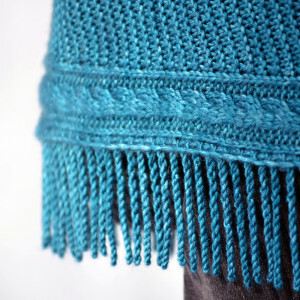 The pictured shawlette is worked in Malabrigo‘s Arroyo sportweight yarn in the beautiful tonal colorway, Reflecting Pool. Much like a real life reflecting pool, this aptly named yarn has lovely depth of color. As with all Apiary Knits patterns, this PDF pattern has been professionally tech edited and test knit to reduce the potential for error. The pattern is charted, but also includes complete written line by line written instructions so the ability to read a chart is not necessary to successfully work this pattern. The pattern also includes a complete photo tutorial on how to work tendrils, so if you have never worked a tendril before, fear not! They are actually quite fun and easy to work. Yes, spring is coming. Will you be ready? Full pattern details for the Rainfall Shawlette can be found here.